Google has been bringing new features as the Gmail turns 15 this year. With the help of smart compose feature, email subject lines will be suggested automatically. Smart Compose is capable of guessing and completing the sentence by analyzing your writing style and email text. It suggests the possible reply of emails when you are typing. Machine learning is used to offer these recommendations, which according to Google will take up much of the work of typing an email or replying to any. "Since we announced Gmail Smart Compose in G Suite last year, we’ve seen how Smart Compose suggestions can cut down on the effort it takes for you to write emails and replies. With subject suggestions, Smart Compose can now help you compose your subject line as well. ", announced GSuite team in a blog post. After you have written the body of your email, the Smart Compose will suggest the subject line of it based on the content. 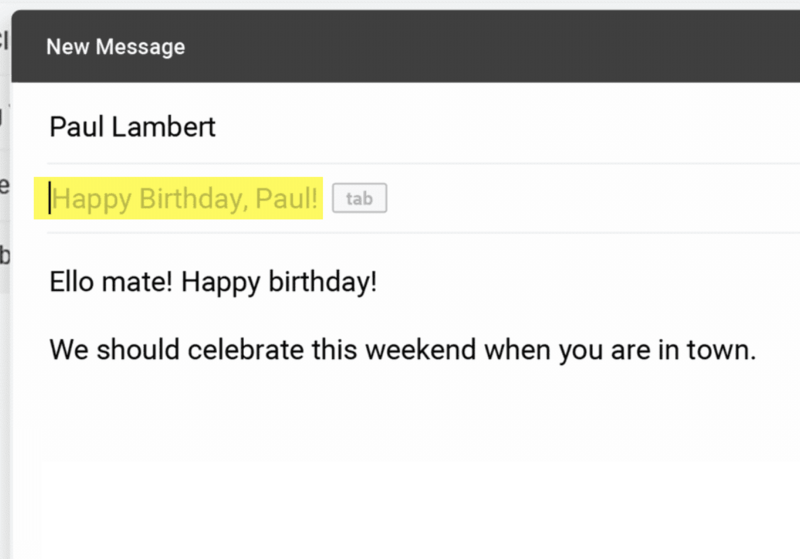 Like if you are making birthday plans, the Subject line “Happy Birthday” will be suggested. This expended feature of Smart Compose will be soon rolled out to all users and may take up to 15 days to go live. The Smart Compose is available by default but can be toggled on and off within settings.